Ever have a "senior moment" and worry about what other people think? We might laugh, but when older people worry that their memory is failing—or worry that someone else thinks it is—they can perform poorly on cognitive tests. Such tests are often included during annual wellness exams of older people, and poor performance can lead to false diagnoses of dementia, according to San Francisco State University Professor of Psychology Sarah Barber. Until recently, all of the testing on the ways stereotype threat can affect memory in older people had been done on adults in Western cultures. (Stereotype threat is the fear that you will confirm to yourself or others that a negative stereotype about a group you belong to is true.) But Barber and graduate student Shyuan Ching Tan have just published the first such study of older Chinese immigrants from East Asia in the Journals of Gerontology: Psychological Sciences. 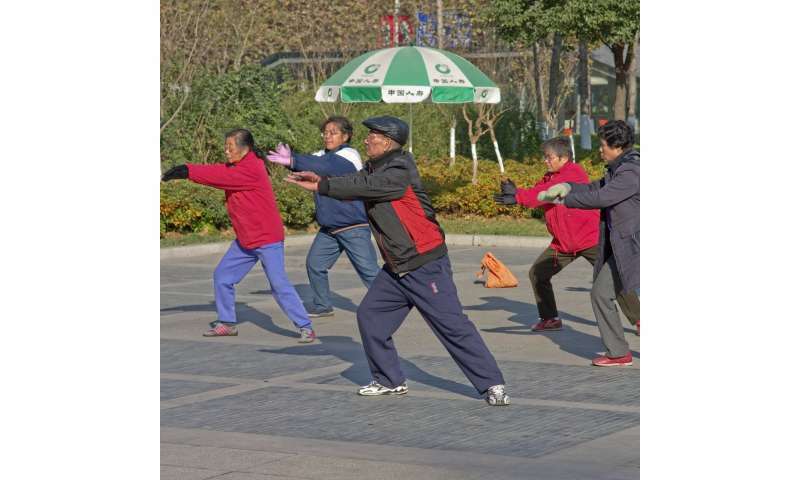 They found that stereotype threat affects memory performance in older Chinese people, too—but that culturally appropriate interventions can lessen the threat. In the study, which was funded by the National Institute on Aging, participants completed a memory test under one of three conditions. In the first condition, the researchers removed any negative stereotype about older people by telling participants that people of all ages would perform equally well. The second and the third conditions contained a stereotype threat: Participants were told they would be taking a test to see how aging affects memory—and that their performance would be compared to that of younger adults. But the third condition also included an "intervention"—a reminder that Chinese traditions honor the aged and wise and that these beliefs had been instilled in younger generations.